The 2018 FIFA World Cup has arrived. The first round of group stage fixtures is already over, with every single one of the 32 World Cup nations competing at least once already — and boy, has the tournament created drama. Russia got the World Cup off to a thrilling start when it wowed crowds with a 5-0 victory over Saudi Arabia in the curtain-raising game on June 14, before tournament favourites like Argentina and Brazil failed to register a win. Germany, the 2014 World Cup winners, even lost. But who are the key players so far? Business Insider has put together a power ranking of the 23 best soccer players in Russia so far in the tournament, using statistical data from number-crunching soccer site whoscored.com. The website grades players based on how the individual performs relative to his position, and ranks each player out of a maximum score of 10. Keep scrolling to see who made the list, ranked by score in ascending order. 23. Iceland goalkeeper Hannes Thór Halldórsson — 7.86. Considering Argentina can boast elite forwards like Lionel Messi and Sergio Agüero, the country was expected to bulldoze through Iceland on June 16. But Iceland flipped the pre-match script and stunned the South American side by claiming a 1-1 draw, with goalkeeper Hannes Thór Halldórsson earning rave reviews for his role between the sticks. Halldórsson even saved a penalty from Messi (see picture above) and if that is not worthy of a place on this list, we don't know what is. 22. Russia defender Yuri Zhirkov — 7.87. Yuri Zhirkov is the lowest-ranked entrant from the five Russians on this list. The left back helped get the very best out of key man Aleksandr Golovin thanks to his intuitive link-up play with the midfielder in Russia's outstanding 5-0 slaughter over Saudi Arabia. Zhirkov was ambitious with the variety in his passing but did not neglect his defensive duties with two clearances and four tackles from the back. 21. Belgium attacker Dries Mertens — 7.99. Had he not scored a wondergoal, there is no doubt that Dries Mertens would have failed to make this list. This is because he hardly did anything else that was worthy of note in Belgium's victory over Panama on Monday. However, goals mean a lot. Especially when they arrive, in spectacular fashion, when the team needs them most. Mertens scored Belgium's first goal of the game with a brilliant volley in the 47th minute, and it helped the team on its way to a confidence-boosting 3-0 win. 20. England midfielder Kieran Trippier — 8.05. England got its opening World Cup match off to a winning start when it beat Tunisia 2-1 in Group G.
Really, it was a result the country may not have achieved at any period in the last 10 or 15 years, so it is testament to this team's grit that it was able to get the job done. England midfielder Kieran Trippier was the most realiable creative presence as the 27-year-old pulled most of the strings with three dribbles, six goalscoring opportunities, and seven crosses. 19. Denmark goalkeeper Kasper Schmeichel — 8.07. How Denmark was able to keep its sheet clean against Peru, only goalkeeper Kasper Schmeichel knows. Peru fired 17 shots in Schmeichel's direction and, of the six that were on target, the Leicester City shot-stopper managed to save all of them — including a first half penalty kick. Schmeichel kept Denmark in the match and was able to guarantee it's 1-0 victory on June 16. 18. England striker Harry Kane — 8.15. 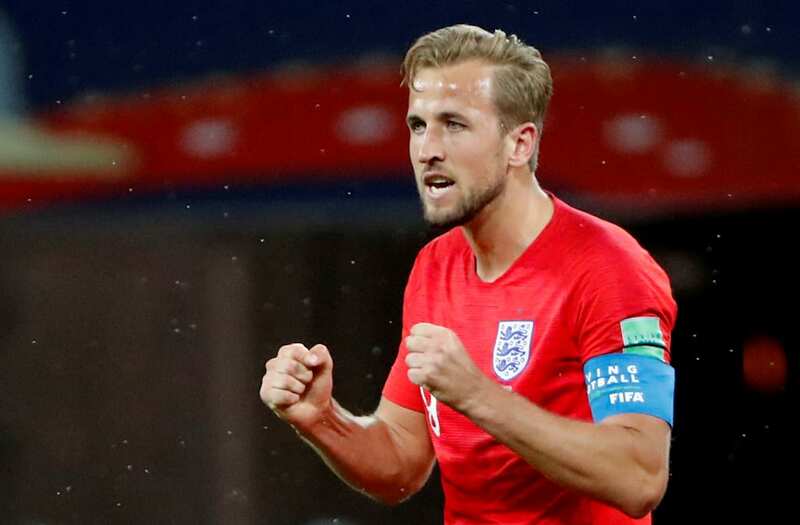 Count him out at your peril and he will continue to make the doubters look foolish, as the striker struck twice in England's opening World Cup game against Tunisia. Kane is England's captain and is leading by example — a leader the country has been craving for years. 17. Brazil forward Neymar — 8.17. Neymar, the world's most expensive soccer player of all time, has a target on his back at this World Cup — and you only need to look at Sunday's game against Switzerland for the evidence. During Brazil's 1-1 draw, Neymar attracted 10 fouls — that's one every nine minutes on average. This means one thing and one thing only — the Paris Saint-Germain forward is the most fouled World Cup player in 20 years. Despite the onslaught, Neymar was still able to work some of his magic and will be eager to continue to cast his spells in upcoming matches against Costa Rica and Serbia. =15. Sweden defender Andreas Granqvist — 8.22. Sweden captain Andreas Granqvist shone in his country's slim 1-0 win over South Korea. The 33-year-old played club soccer for Russian Premier League side FC Krasnodar for the last five years, before recently switching to Swedish side Helsingborgs IF. This means he needed no time to acclimatise to the country and was therefore able to hit the ground running with a stunning display on Monday. Granqvist retained possession well, made eight defensive contributions, and even scored the game's only goal — a penalty kick awarded by the Video Assistant Referee. =15. Russia midfielder Yuri Gazinskiy — 8.22. Yury Gazinskiy won the distinction of being the first goalscorer at the 2018 FIFA World Cup when he struck in the 12th minute, a deft header across goal. Gazinskiy's goal beat Saudi shot-stopper Abdullah Al-Mayoof and sent Russia on its way to a one-sided 5-0 rout. Gazinskiy showed grit and strength in midfield — two assets that could prove essential if Russia is to progress into the latter stages of the competition. 14. Belgium attacker Eden Hazard — 8.25. Eden Hazard was at his best when he took the ball, hogged it all to himself, then ran at full pace against Panama's defence on Monday. The Belgium forward's close control, together with his dribbling ability, led to great success as one of his runs caused Romelu Lukaku's second goal. Should his passing and link-up play with Dries Mertens and Lukaku get stifled by future World Cup opponents, he should feel confident he can always revert to a more direct plan of attack. 13. Mexico midfielder Héctor Herrera — 8.29. Héctor Herrera plays in a position, central midfield, that can often see little love from the media and the fans. However, the 28-year-old did his job remarkably well on Sunday as he frustrated the World Cup defending champions Germany with one block, two interceptions, and eight tackles. He is also excellent on the ball as he is a competent passer and likes to dribble with the ball at his feet. Herrera is certainly one to watch in the coming weeks. 12. Mexico goalkeeper Guillermo Ochoa — 8.35. Though Mexico goalkeeper Guillermo Ochoa was not frequently put in the firing line, he remained a sturdy pair of hands throughout his country's shock 1-0 victory over Germany. The complexion of the game could have been so different had Toni Kroos converted his free kick in the 38th minute, but Ochoa got fingertips to the shot and pushed the ball away from the goal and onto the crossbar. 11. Mexico winger Hirving Lozano — 8.43. Hirving Lozano is great — and not just because his inclusion here vindicates his appearance in Business Insider's list of ones to watch at the 2018 World Cup. Lozano, 22, showed no respect to 2014 World Cup winners Germany, and that alone was great to see. He has the sort of pace that can scare the bejeezus out of slower defensive opponents, and he used that to his advantage in Mexico's opening Group F match on Sunday. He scored the game's only goal. 10. Uruguay defender Diego Godin — 8.47. When you think of Uruguay's defensive prowess, it is probably easy to think of "The Wall" in epic fantasy series "Game of Thrones." Diego Godin plays a key role in keeping Uruguay ice cool under pressure. Against Egypt, Godin continued to show that he is a confident ball-playing centre back. He has good passing ability, strong positional awareness, and elite dispossession skill. Godin and his defensive partner José Giménez will surely be confident they can keep their remaining Group A enemies, Saudi Arabia and Russia, at bay. 9. Japan striker Yuya Osako — 8.50. Japan downed Colombia by a 2-1 score and though familiar face Shinji Kagawa scored from the spot in the sixth minute, it was unfamiliar player Yuya Osako who made himself a national hero with a 73rd minute winner on Tuesday. The 28-year-old saved his first ever World Cup goal for the best moment as he rescued a victory for Japan thanks to his predatory positioning and aerial prowess. Osako created two goalscoring opportunities, challenged for five headers, and scored one goal from five shots. 8. Mexico defender Jesús Gallardo — 8.54. Jesús Gallardo is the closest thing soccer has to a T'Challa-like character. T'Challa never hesitated to jump on a grenade and absorb its kinetic energy in hit movie "Black Panther," and Gallardo showed similar instincts as he continually put his body on the line to thwart Germany's attacks. Gallardo slotted in at left back in Sunday's Group F match and he racked up seriously impressive numbers — two tackles, two blocks, seven clearances, and eight interceptions. Gallardo made a defensive contribution every 4.7 minutes and truly earned his country's clean sheet. He is a Mexican superhero. 7. Russia midfielder Roman Zobnin — 8.62. Roman Zobnin proved to be an expert defensive midfielder against Saudi Arabia in the World Cup opener on June 14. He nullified any attempted Saudi Arabia attack by making two interceptions and six tackles in the middle of the park. The vast majority of his work was clean as he only committed one foul, and he even created an assist for Denis Cheryshev. 6. Belgium striker Romelu Lukaku — 8.63. Romelu Lukaku epitomised the saying, "if at first you don't succeed, try, try, and try again" in Belgium's match against Panama on Monday. Despite his impressive physical strength, Lukaku was outmuscled and outhustled by Panama's centre backs. His first touch was often poor, his passing was errant, and he hardly ever seemed to be in the game. But then he scored. Twice. And all of that was forgiven. If Belgium's future Group G opponents allow Lukaku room to operate in the penalty box then he will cause havoc. 5. Spain striker Diego Costa — 8.67. Diego Costa is a paradox. In some games, he plays like a puffy-chested ballerina. Then at other times, he plays with such aggression and malice that he wouldn't seem out of place in a low-rent nightclub, stubbing his cigar out in your eye as he couldn't find an ashtray. Against Portugal, it was the former. He rarely put a foot wrong as he struck twice and played a crucial part in ensuring Spain was able to secure a 3-3 draw and a score a vital Group B point. 4. Russia winger Denis Cheryshev — 9.11. The winger may have been a relatively unknown player heading into the World Cup, but few will be unaware of who Denis Cheryshev is after his virtuoso display against Saudi Arabia. Before the World Cup had even kicked off, Russia were tagged as the lowest-ranked international side at the tournament. Not much was expected from the country's opening match but, inspired by Cheryshev, Russia hammered the visitors over and over. Cheryshev pulled the strings in the 5-0 win, as he provided one goal and two assists. 3. Uruguay defender José Giménez — 9.74. José Giménez is this list's highest-ranked defender for good reason. Uruguay squeaked past Egypt with a 1-0 victory on June 15, and it was an end-to-end performance from Giménez that stole the show. Giménez was inpenetrable at the back, and ferocious up front. He attempted four tackles, eight clearances, and nine interceptions — a defensive contribution every 4.2 minutes. Oh, and he scored the game's only goal, too. 2. Russia midfielder Aleksandr Golovin — 9.8. On June 14, a star was born — and that star was 22-year-old Aleksandr Golovin. Golovin was the best player on the pitch in Russia's thumping 5-0 victory over Saudi Arabia on Thursday. The central midfielder created five goal-scoring opportunities, produced two assists, and even scored one goal — a well-placed free-kick struck from the edge of the penalty area. His form has alerted multiple Premier League clubs like Manchester United, Arsenal, and Chelsea who could bid for the CSKA Moscow player in the coming weeks. 1. Portugal striker Cristiano Ronaldo — 9.83. After netting a World Cup hat-trick in Portugal's opening Group B match against fellow titans Spain, it's no surprise that Cristiano Ronaldo leads this power ranking. The 33-year-old has hit the ground running at the 2018 FIFA World Cup and will be chomping at the bit to add to his goals haul, to win the top scorer award, and to lead Portugal to glory. On current form, few may bet against him.